Dutch based company, Lande, launches a new office system designed by the interdisciplinary team13&9, at their headquarters in September 2015. The designs are the first collaboration between the two companies. 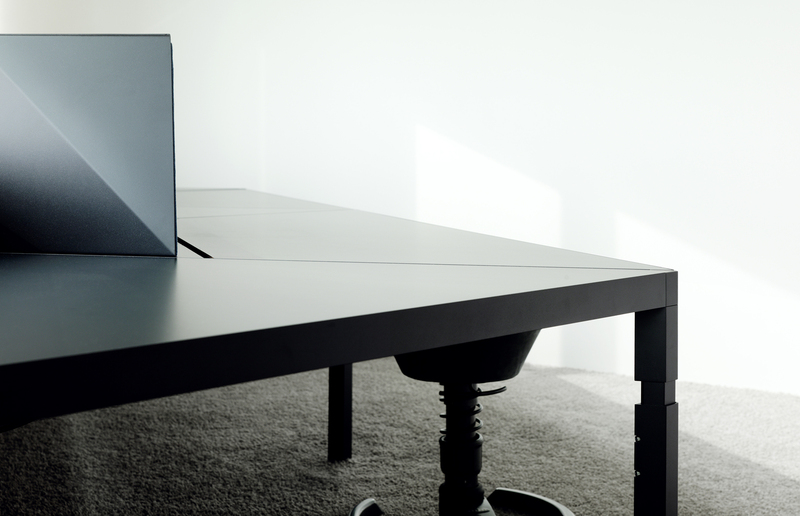 TRIGON, a revolutionary table and desk system, is designed to fulfill modern workday life’s needs by optimizing the workplace with flexible furniture for work, play and collaboration. Taking cues from a corporate, communicative and individual friendly working environment, TRIGON is produced to create both sheltered workspaces and settings for meetings and conferencing. 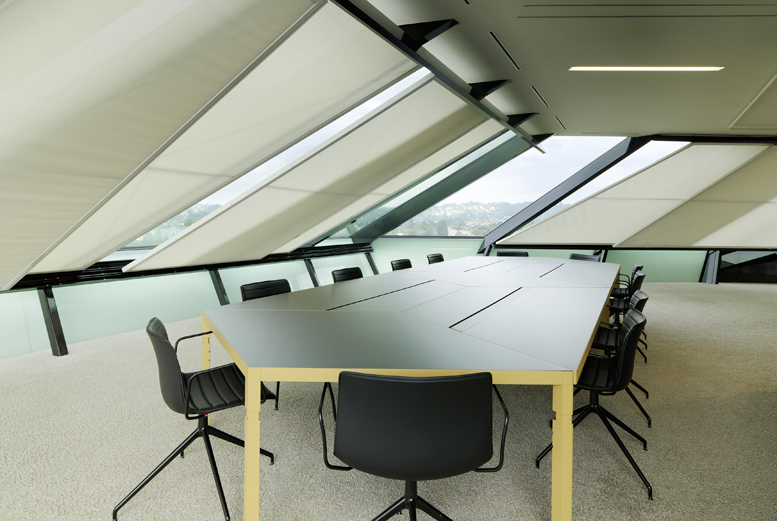 Adhering to the concept of “breaking the right angle”, TRIGON’s pragmatic and modular features are developed by the implementation 60° edges onto rectangular systems thus offering the communicative qualities of a round table. In addition to classical rectangular table layouts and row formations, the most innovative aspects of TRIGON are exemplified with individual table settings that enable the user numerous different layouts in an open space. The modular table components can be combined with special features like sound absorbing dividers, shelves and shelters offering a more private workspace. TRIGON is available in a variety of design possibilities, surfaces and colors. The product offering includes desks, shelves, book storage and acoustic walls. TRIGON allows for higher space efficiency, especially in buildings with non-rectangular footprints and is a clear solution for activity based and collaborative offices. In an aim to support the era of ”NEW WORK” which identifies ideal working environments by developing a unique harmony between human beings, space and technology, TRIGON represents a highly functional, personalized and versatile office system.